One of the best parts of my job is getting to connect resources with young people who need us most. But even better is getting to see those kids experience the joy and exhilaration those new possibilities and opportunities bring. Digital inclusion is a powerful force for good, one we’re humbled to partner on with Comcast. Today and every day, we’re proud to stand should to shoulder with Comcast as we bridge the opportunity divide for youth across America. Comcast is opening doors of opportunity for the over 25 percent of youth who lack home access to broadband internet. Without the internet, many things are harder than they need to be. Digital literacy can bridge many divides in our nation. The opportunity divide, the innovation divide and even the homework divide (a whopping 79 percent of teachers have students access or download assignments online) can all benefit from more equitable technology access. From answering a burning question to trying a new recipe, technology powers possibility and independence. Research tells us there’s an important difference between whether young people are set up to utilize or create digital media. A recent Pew Research Center study found lower-income Americans are more than twice as likely as those in other income groups to be digitally unprepared. This stat hits especially close to home for me, as our experience tells us every great future starts with opportunity. One of Comcast’s top priorities is to help more people participate in the innovation economy, regardless of where they’re from or circumstances they were born to. Together, we’re using technology as a catalyst for equity. Because we know that when everyone has a seat at the table, the increased diversity allows us to craft solutions that work even better for more children and families. Innovation shouldn’t be limited by income, skin color or ZIP code. And I’m proud that Clubs are working every day to make sure that’s the case. Boys & Girls Clubs and Comcast are celebrating the power of digital inclusion to drive positive change. With the help of Comcast, we launched the interactive digital platform My.Future, which enables kids to interact with programs ranging from digital literacy essentials to visual arts and game design. More than 4 million young people have access to the platform. As we set our sights on 2025 - when we’ll serve twice as many kids by moving outside Club walls - we know technology will continue to be a game changer for the way that we do business. Posted by Julie Teer, Chief Development and Public Affairs Officer for BGCA. With the Fourth of July a day away, I’d like to pay tribute to the men and women of the U.S. Armed Services who serve and defend our nation, and the families who support them. 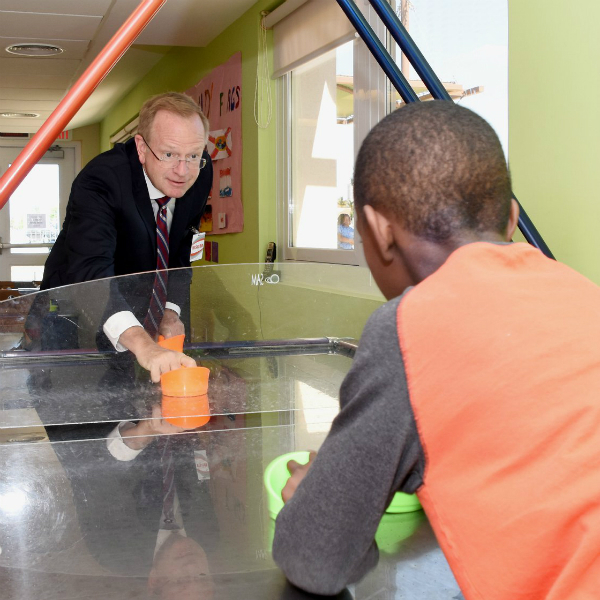 Each year, I visit BGCA-affiliated Youth Centers on domestic and overseas U.S. military installations. Recently, I spent time at Naval Station Rota in Spain and Naval Air Station Sigonella in Italy. My discussions with Youth Center staff and military personnel offered valuable knowledge to sustain, and even improve, how we support them. Since 1991, Boys & Girls Clubs of America and the Department of Defense have worked in union to serve military youth and their families. These kids deal with multiple ongoing challenges, like family separations due to the deployment of a parent. Frequent moves are also common, with military-connected youth moving an average of nine times between kindergarten and twelfth grade. 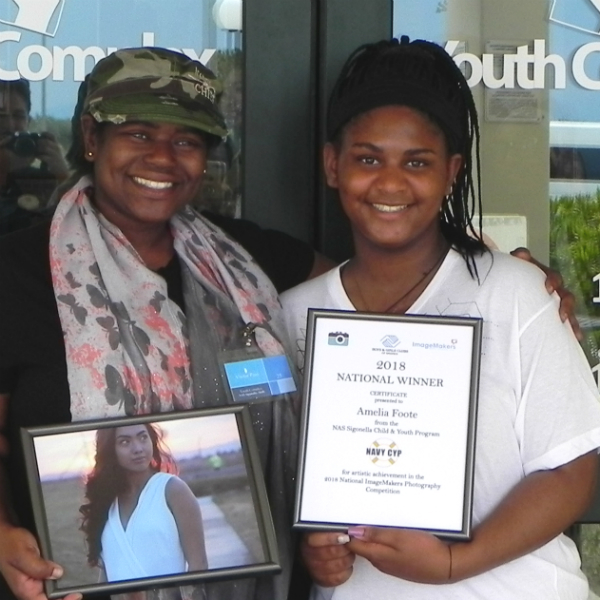 Youth Centers help members build resilience and character to surmount such challenges, and provide them with access to Boys & Girls Club programming and activities. With extracurricular pursuits usually limited to on-installation offerings, kids often rely on Youth Centers for after-school activities. This trip left me feeling inspired. There’s such positive energy at the command level for our partnership, with senior military staff expressing gratitude for the support we offer children and teens. As a Movement, we can be proud of the small yet critical contributions we are making to support our military families. Happy Independence Day, everyone. Game on at Naval Station Rota! photography program during my visit to NAS Sigonella. My new friend Alwen filled me in about stick bugs at the NS Rota School Age Care facility. 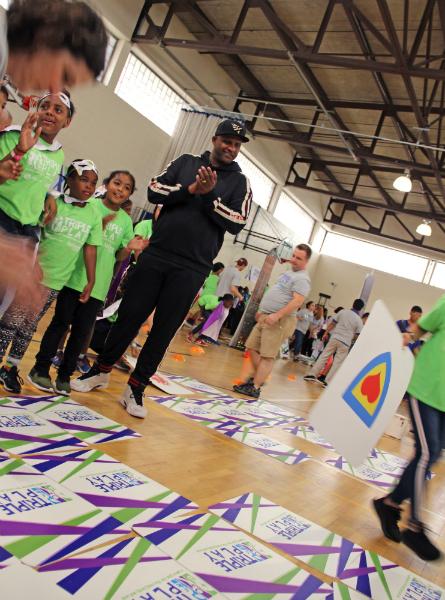 Thanks to our partners at The Coca-Cola Company and Anthem Foundation, we’re focusing on social and emotional skill development to empower youth with skills they need to live healthy and balanced lives. 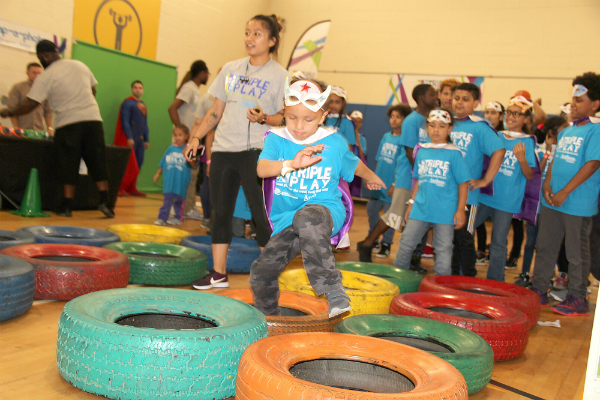 Last week, we hosted Triple Play Day at the Alfred E. Smith Recreation Center in New York City and did just that! Research shows that where you live, work, learn and play have a significant impact on health and wellness, especially for young people. At Boys & Girls Clubs, we’re leveling the playing field by providing youth with access to critical opportunities that foster essential social and emotional skills that enable them to build relationships, identify and express themselves, make responsible decisions and be positive agents of change in their own lives. Clubs employ formal and informal methods to power skill development through "caught" and "taught" experiences. Social and emotional development is incorporated throughout the Club environment, targeted in intentional programming and integrated with other programs to support skills practice and reinforcement. 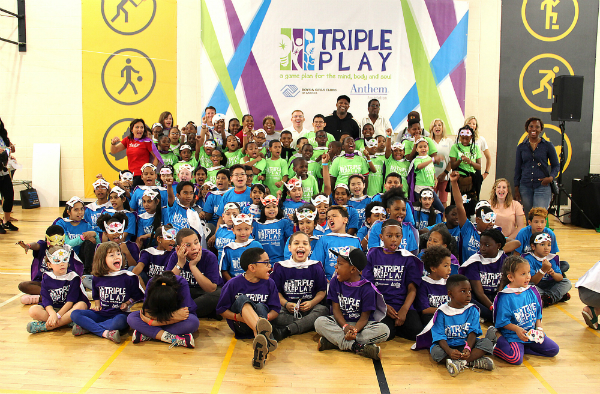 Just like our Triple Play program, last week’s Triple Play Day celebrated holistic health and wellness. 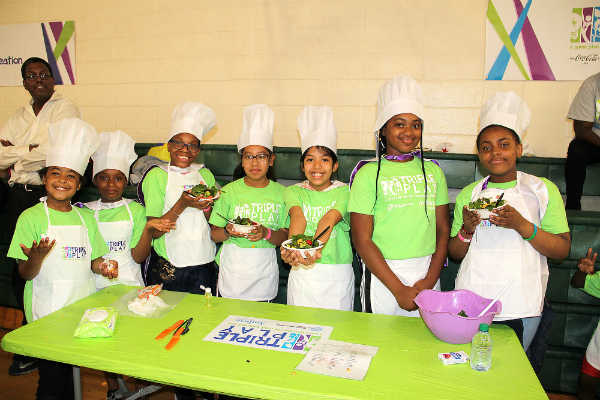 With the help of New York Yankees pitcher CC Sabathia, 140 young people joined us for activities, snacks and fun. The following photos show just a few of my favorite moments! Jennifer Bateman is National Vice President of Youth Development Programs for BGCA. Hanging out with CC Sabathia. Using wellness superpowers on the obstacle course. As CC looks on, kids do some summer sleuthing to keep their minds sharp and race to crack the case!